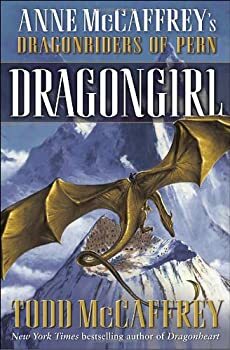 Besides her most famous epic, Dragonriders of Pern, Anne McCaffrey has also written other sci/fi fantasy series (several with other authors), anthologies, romances, and stand-alone novels. 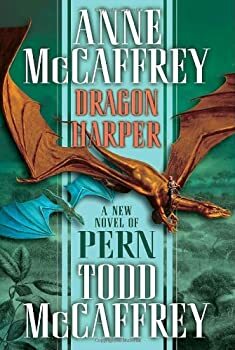 Todd McCaffrey now writes the Pern books. 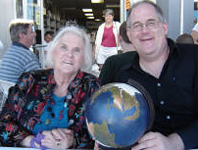 Here’s Anne McCaffrey’s website. And here’s Todd McCaffrey’s website. 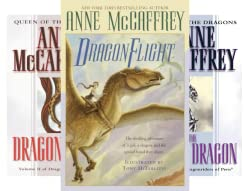 Individual Pern Novels — The latter novels were written with her son, Todd McCaffrey. It’s been my longstanding theory on multi-book series (by multi-book I mean ones that go well beyond the standard trilogy) that the books tend to fall into four categories: great ones (usually early on), good ones that don't match the passion or excitement of the top ones but still sweep you along, adequate ones that serviceably move the grand story along but aren't particularly original or well-written, and the bad ones that were just spit out because the series’ fans would buy them even if the covers were made of poison ivy leaves. Anne McCaffrey’s classic Pern series is a prime example of this classification system. To be honest, I don't expect much when I pick up a Pern book anymore. These last few have ranged from middling at best (Dragonsblood) to nearly unreadable (Dragon's Fire). While the eternal optimist in me keeps me reading the series, the realist in me can't help but note just how long it's been since there's been a good book (I'm not asking for the glory of the great ones). Doona — (1967-1994) Anne McCaffrey and Jody Lynn Nye. Publisher: After the first human contact with the Siwannese ended in a mass suicide, the Terran government made a law that no further contact with sentient aliens would be allowed. But since their own planet was overcrowed, they looked to colonize Doona — until they found the Hrubbans. Their choice was simple but dangerous. They could kill the cat-like Hrubbans, or for the first time in history, learn to to coexist with an alien race…. Pegasus — (1973-2000) Publisher: They were four extroardinary women who read minds, healed bodies, diverted disasters, foretold the future — and became pariahs in their own land. A talented, elite cadre, they stepped out of the everyday human race… to enter their own! The Mystery of Ireta — (1977-1984) Publisher: The crew of shipbred technicians sent to the planet Ireta were prepared for a routine mission to catalog flora and fauna and search for new energy sources. Kai and his beautiful coleader Varian, the best xenob-vet in the business, followed all the standard procedures, but the result of their investigations was totally unexpected. When their rescue ship mysteriously disappears, they suddenly find themselves surrounded by giant swamp creatures, deadly predators, and terrifying dinosaurs. And a curious change begins to come over many of the crew members — a mutinous change that will lead all of them, in one way or another, into the primitive darkness of a future world that holds many mysteries yet to be revealed…. Crystal Singer — (1982-1992) Publisher: Her name was Killashandra Ree. And after ten grueling years of musical training, she was still without prospects. Until she heard of the mysterious Heptite Guild who could provide careers, security, and wealth beyond imagining. The problem was, few people who landed on Ballybran ever left. But to Killashandra the risks were acceptable…. Tower and Hive — (1990-1999) Publisher: The Rowan was destined to become the greatest Prime Talent in human history, facing a lonely existence of servitude. Until she receives a telepathic plea from across the stars from a Prime named Jeff Raven-and falls in love with him. Catteni (The Freedom Novels) — (1995-2002) Publisher: When the alien race of Catteni invaded Earth, they forced thousands of humans into their spaceships, and transported them to an eerie and seemingly uninhabited planet. But it was not as empty as it seemed. Kristin Bjornsen’s normal life is irrevocably changed by the arrival of Catteni slaving ships, and in the wake of her people’s capture, she begins a desperate fight for freedom. Restoree — (1967) Publisher: Sara had been torn from Earth by a nameless black force and taken to Lothar where she was forced to care for a strange man, who she discovered was the Regent. She escaped in panic, and become a fugitive in a world of multiple evils…. The Coelura — (1983) Publisher: The Lady Caissa, heir to the Ambassador of the Federated Sentient Planets to the world Demeathorn, had grown up knowing that she owed her sire obedience and unconditional loyalty. She was expected to do her duty, even to the extent of entering into a marriage alliance she did not understand with a man she despised. Lady Caissa, beautiful, rich, and well-educated, had never learned the great secret of Demeathorn, although she was about to be caught in its spell. In the aftermath of disastrous diplomatic negotiations, she fled north toward interdicted territory. A distress signal from deep within the forbidden zone drew her to a rocky island where she would encounter a man alone: intense, handsome, and severely injured in the crash of his antique flyer. 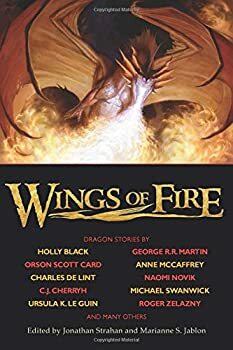 Lady Caissa did not know it, but she had just set in motion events which would determine the fate of her family, her planet… and her happiness. An Exchange of Gifts — (1995) Publisher: When Meanne, a princess of the realm, runs away from her father’s castle and an unwanted suitor, little does she realize the hardships and difficulties that lie ahead of her. Loneliness is the worst part — until she finds a fellow refugee, a boy named Wisp. Together they must make new lives for themselves. Yet they both have secrets – hidden pasts and magical powers that can tear them apart. No One Noticed the Cat — (1996) Publisher: Mangan Tighe had been the perfect regent. Having sufficiently provided for the future peace and prosperity of Esphania and for the smooth ascension to the throne of his young prince, Jamas, the wizened old Mangan had quietly passed away — with a grin upon his face. For the very clever Mangan had left behind an extraordinary guardian to help Jamas bear the new and heavy burden of leadership: Niffy the cat. Niffy, no ordinary feline, will accompany Prince Jamas everywhere, perusing every document and decree, and — in her own peculiar way — offering guidance. And it is guidance that the prince desperately needs. The realms and kingdoms that now include Jamas’s Esphania are a belligerent and unruly lot, constantly jostling and fighting for local mastery. The worst of them is ruled by a greedy king and his treacherous usurper queen, who scheme to annex Esphania and crush its royal household. And as young Jamas falls hopelessly in love, compounding the court conspiracy that surrounds him, the sharp-eyed, nimble Niffy may be the only one capable of preventing total disaster and her noble master’s untimely demise. Black Horses for the King — (1996) Publisher: Galwyn, the son of a bankrupt and dishonored aristocrat, has always had an ear for languages. So when Lord Artos — later known as King Arthur — needs an interpreter to help him buy large horses to breed a troop strong enough to carry armed warriors against the Saxon invaders, Galwyn gets a chance to redeem his father’s honor and make a name for himself. If Wishes Were Horses — (1998) Publisher: Young Tizra and her twin brother Tracell find their world abruptly changed when their father is unexpectedly called to fight in a war which promises to last much longer than the usual three-day skirmish. Their mother — the village healer — enlists her children to assist her in caring for the many refugees left wounded and homeless by the conflict. Inspired by her mother, Tizra learns never to surrender hope even in a time of fear and uncertainty. Planet Pirates — (1990-1991) Anne McCaffrey, Elizabeth Moon, Jody Lynn Nye. Publisher: Sassinak was 12 when the raiders came. That made her just the right age: old enough to be used, young enough to be broken. Or so the slavers thought. But Sassy turned out to be a little different… and bided her time to become the fleet captain of a pirate-chasing ship of her own. Petaybee — (1993-2007) Anne McCaffrey & Elizabeth Ann Scarborough. Publisher: Strange things were happening on the icy planet called Petaybee. Unauthorized genetically engineered species had been spotted, while some people were simply disappearing. None of the locals were talking to the company, so the company sent disabled combat veteran Yanaba Maddock to spy. But a strange thing happened. With her relocation to the arctic planet came a return of Yana’s health and strength. And the more she got to know the people of Petaybee, the more determined she became to protect her new home…. Acorna — (1997-2007) Anne McCaffrey, Elizabeth Ann Scarborough, Margaret Ball. Publisher: “Something’s Alive In There!” She was just a little girl, with a tiny horn in the center of her forehead, funny-looking feet, beautiful silver hair, and several curious powers: the ability to purify air and water, make plants grow, and heal scars and broken bones. A trio of grizzled prospectors found her drifting in an escape pod amid the asteroids, adopted her, and took her to the bandit planet Kezdet, a place where no questions are asked and the girl might grow up free. But Kezdet has its own dark secret. The prosperity of the planet is based on a hideous trade in child slave labor, administered by “The Piper” — a mystery man with special plans for Acorna and her powers. But free little girls have a way of growing into freedom-loving young women, and Acorna has special plans all her own. Barque Cats — (2010) Anne McCaffrey & Elizabeth Ann Scarborough. Publisher: Pilot, engineer, doctor — ship’s cat? Since the early days of interstellar travel, the so-called Barque Cats have become essential to the well-staffed space vessel. Assisted by humans — Cat Persons — with whom they share a deep and loving bond, the Barque Cats are responsible for keeping spacecraft free of vermin, for alerting crews to environmental hazards, and for acting as morale officers. But a widespread epidemic affecting livestock on numerous planets throws the felines’ future into doubt. Suddenly the galactic government announces a plan to impound and possibly destroy all exposed animals, including the Barque Cats. With the clock racing against them, a handful of very special kittens and their humans will join forces to save the Barque Cats, and quite possibly the universe as they know it, from total destruction.